Set amongst the prettily painted buildings in the heart of Kitzbühel's picturesque medieval centre, this small family-run hotel is filled with antiques and Austrian charm. Run by the friendly Strasshofer family for more than 100 years, it is popular with Inghams guests and offers great value and character in a premier location. 20 Small Austrian twins have shower, standard Austria twins have bath and larger rooms have bath or shower. All rooms have cable TV, hairdryer and telephone. 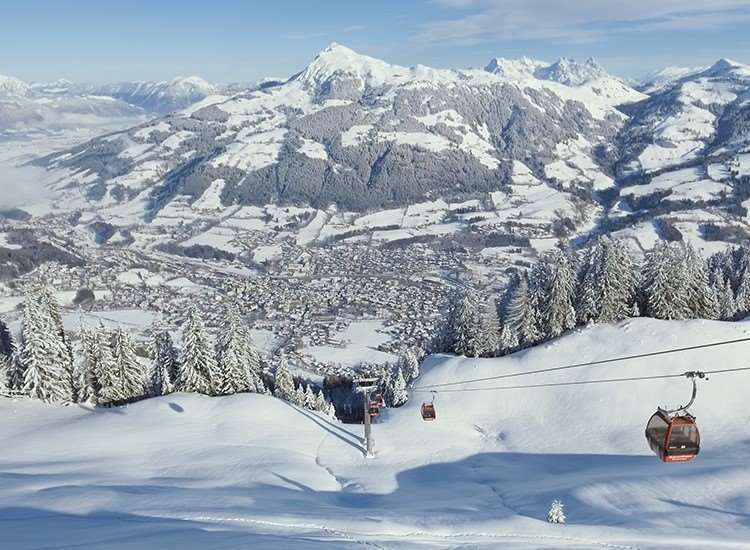 The Strasshofer is in a great position - right in the centre of Kitzbuhel and only a 10 minute walk to the Hahnenkamm gondola station. This is a homely, warm hotel, we found the staff to be very friendly and helpful once you had made the effort to get to know them. The rooms were clean and well-furnished. Be careful about ordering coffee or tea after your evening meal, these aren't included and add a significant total to your bill at the end of the week! All in all, we were very happy with the Strasshofer and would go back there again.